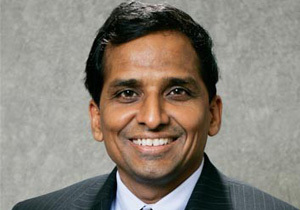 Raju Reddy started Sierra Atlantic as a self-funded company with two friends in 1993. The company was already pushing $15 million in revenues and going to $20 million when it sought its first round of VC funding. In 1999, when the IT industry was witnessing a never-before boom, Reddy raised $17.4 million in venture capital funding for Sierra. Three US-based major venture capital firms â€“ GE Capital, Walden International and NEA â€“ funded the company. Since then, Sierra Atlantic made four acquisitions without raising any additional cash after the first round of funding. The company has been acquired by Hitachi in an all-cash deal in December 2010. Techcircle.in catches up with former founder and CEO Raju Reddy, who is currently working with Hitachi Consulting as the executive vice-president for global services, besides being a board member. Reddy is also a TiE charter member and an active mentor of young entrepreneurs. Moreover, he is actively involved with BITS, Pilani as a member of the alumni association. TC: How do you build a best-in-class global services company from scratch? Reddy: I would like to emphasise two things first â€“ having a set of products and services which are irresistible to the clients and a strong corporate culture that allows you to attract and retain the best. You also need to live your core values every day in how you run the business. In our case, we chose the values of trust, results and learning. You need to have TRUST â€“ trust-building is a must when it comes to your shareholders and stakeholders; RESULTS â€“ effort is good, but results are what matter most at the end of the day; LEARNING â€“ you have to be an adaptive engine, consistently adjusting yourself with strategic realities of the day. Look at GE; it started out as a light bulb company, but is a conglomerate today. You also have to remember that it is not always up, up and up. For us, during 2008-2009, business was slow. Revenues were flat and we did not have growth, although we still managed to stay profitable. During the post-dotcom period too, we went through a phase when revenues were down. TC: Can you tell us more about Hitachi's acquisition of Sierra Atlantic. The shares of the parent company shot up after the deal and that's a very positive sign. But were you looking at other companies as buyers? Also, tell us something about the deal size. Reddy: I believe good companies are bought, not sold. We were not actively looking to be bought although we had other offers including those from players in the private equity field. Hitachi Consulting heard good things about us from common partners and customers (perhaps in deals where we both competed and Sierra Atlantic won), and they approached us. Suddenly, a $100 billion company wanted us, more than we wanted them. The economics of the deal was very attractive. Even though they did 8-10 acquisitions earlier, we were the largest company they were buying. We cannot disclose the size of the deal, but let me say, it had to be a very good offer for us to say yes. Beyond that, we also felt that Hitachi Consulting could be a great home for my employees, unlike IBM or Accenture-size companies where we would be lost. And yes, I was also told by Hitachi executives that the parent company's stock moved up after the acquisition. TC: It has been almost seven months now since the acquisition. How is the transition going? Reddy: I am very pleased with the way the integration is going. Hitachi Consulting has been extremely thoughtful and culturally sensitive. We have acquired other companies and Hitachi, too, has acquired companies before. Therefore, as corporate entities, we are both aware of the acquirer's mindset and what the acquired company goes through. There is a significant amount of cultural learning going on as well. The Japanese, for example, take a long-term view of the business, sometimes looking even 50 years ahead. TC: Sierra Atlantic was the largest software outsourcing company in South China. It has also been among the top 10 best employers. Can you give us an insight into doing business in China and the Chinese market? Reddy: Compared to India today, China is lagging about 5-7 years in the IT services space. But there are lots of very bright students coming out of colleges every year, much like India. At the same time, they are hungry to learn and grow, recognising fully that they are behind India in software processes and knowledge. The country's domestic business, however, is large and growing. As for doing business in China, of course, there has to be a lot of cultural give and take. Some of our executives had been there for six months at a stretch, trying to learn about the Chinese market and the country's unique cultural norms. However, I often feel that people everywhere are pretty much the same. In a professional environment like ours, people are driven by two main things: They want to be part of something successful and they want to be recognised when that happens, as being part of that success story. TC: What about the Chinese government and the public sector there? Reddy: Enterprises owned by the Chinese government were not our key clients. Our primary customers were overseas corporations who have started selling in China. From what we have seen, the Chinese government is very aggressive in trying to court businesses. We had strong encouragement from the government to open our development centre there. Provincial leaders in China also compete for business by offering economic incentives to companies setting up the shop there. This is similar to what the states in India do as they compete for business. TC: What are your plans for the future? Do you want to continue as part of Hitachi Consulting beyond the integration of the two companies? Reddy: I have no contractual obligations to continue with Hitachi, but I wanted to continue as part of the company through the integration. However, there are no near-term plans to go out and start a new company. I have a little bit more time now than I did in the past and right now, I am just enjoying being a part of the phenomenal journey it has been. Meanwhile, I want to focus on my philanthropic pursuits. I am actively involved in projects like Sevathon at the India Community Center here. Sevathon's vision is to create the largest community-wide walkathon and awareness platform dedicated to seva or service. Also, I am a TiE charter member and I enjoying working with new and young entrepreneurs, helping them build their companies. For example, I was mentoring the Cognovision team and helped them through their acquisition by Intel. TC: Tell us more about the Indian organisations with whom you associate. Reddy: I help out a bit with Relisys Medical Devices as I know the guys there, including the chairman Dr N. Krishna Reddy who is also the co-founder and CEO of Care Hospitals. I have also invested in a company called Gharpay, along with one of the best-known VCs of India, and I mentor the firm. Gharpay is run by three or four 23-year-olds. Then there are also companies like Red Bus, which was started by a 26-year-old. Today, it is India's No. 1 company (based on the number of daily transactions) in e-commerce. Recently, I have been appointed the chairman of BITSAA International, the alumni association of my alma mater BITS, Pilani. And I have found that India has some amazing young entrepreneurs emerging from the colleges and often from middle class families. That offers great hope for India and may lift the country out of poverty.